7 Quick Takes: computer problems, pineapple upside down cake, and a triple take! So I crashed my laptop, probably literally. Sometimes I let it balance on the arm of the loveseat and occasionally it falls to the floor. Funny thing about it deciding to stop working. It went to Best Buy for a couple of days where it was diagnosed with a dying hard drive. Then The Patriarch bought an external hard drive, downloaded some Linux program, and retrieved all my data, then replaced the hard drive and then we had to order Windows 7 and finally it’s back up and running. Except I have no Office software so, I need to attend to that. In the interim I decided to see what Candy Crush Saga was about, because I’m all up to date like that. I’m stuck at level 109. We live in the part of the country where it’s bad allergy season pretty much every day. Add a child with lots of environmental allergies (fortunately not to dog hair or dust mites or we’d have to change our entire living arrangements) and it can be problematic. He’s pretty miserable but we’re trying to stay on top of everything with his allergy shots and nasal steroids. He’s doing otherwise well learning to throw discus and shot put as a high school freshman. He’s also learning the trombone and will be in Marching Band next year. The only thing any of the rest of us can play is the radio. Of course, we never have exactly all the ingredients so we substituted dark brown sugar and we used Heath Milk Chocolate Toffee Bits, so there’s that. And I used my handy little cookie scoop so I had these beautiful, same-size cookies. They were delicious. I’d show you a picture but for some reason, probably related to quick take #1, I can’t upload any pictures. 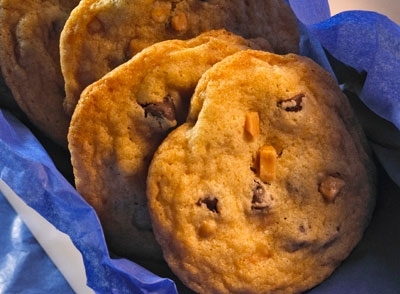 But you can hop over to Hershey’s website and see their lovely, professionally photographed cookies. 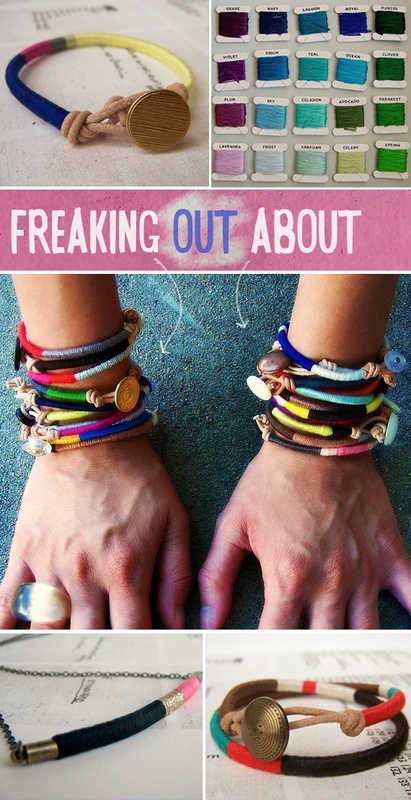 I found this really great website with some excellent tutorials on 11 DIY bracelets. I think these would be fun for moms and kids to do or to make while watching TV for gifts. Since I got my KitchenAid I’ve really started baking a lot. 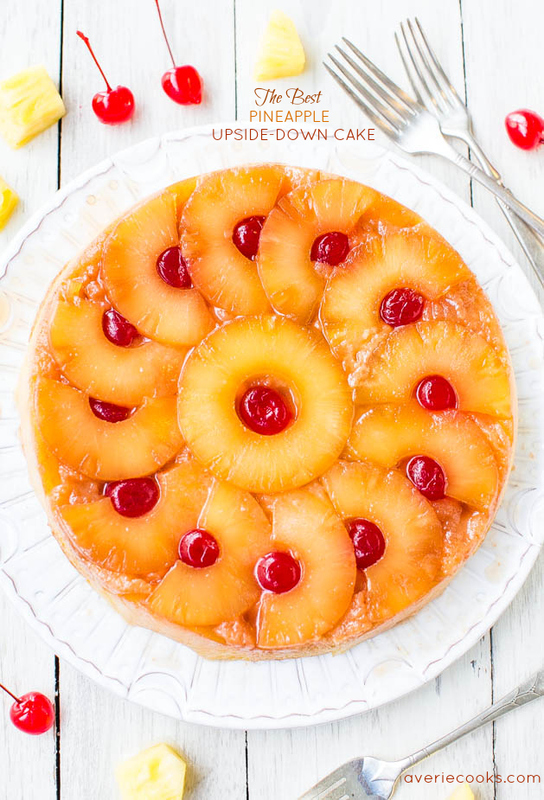 Last night I made a fabulous pineapple upside down cake. I found it here It’s absolutely delicious. I love the arrangement of pineapples. We also got some eye-popping news on Easter. A family member is having triplets. This is her first pregnancy and she’ll be an antique mommy, so please pray for mummy and daddy and the three wee ones. I’m probably going to devote an entire post to this topic but I’m trying to find some clarity about how I feel. They are not Catholic so it’s raising some difficult emotions in us: happiness for the new lives, fear of complications, as well as a large dose of ambivalence. Our youngest is a high school freshman, the expectant couple are close to us physically, but I’m at the age where I’m not sure I want to be intimately involved with little babies on a more than casual basis. However, the Patriarch and the expectant daddy are very close. Lets say I’m very much a work in progress. So, for all you non-Catholics, I’d like to recommend Jennifer Fulwiler’s “Something Other Than God”. It’s her awesome conversion story. You can find it here. I challenge you to read it! This entry was posted in 7 Quick Takes, Assisted Reproduction, Baking, Faith, Infertility, IVF, sewing, Uncategorized and tagged baking, IVF, Jennifer Fulwiler, sewing, Something Other than God. Bookmark the permalink.